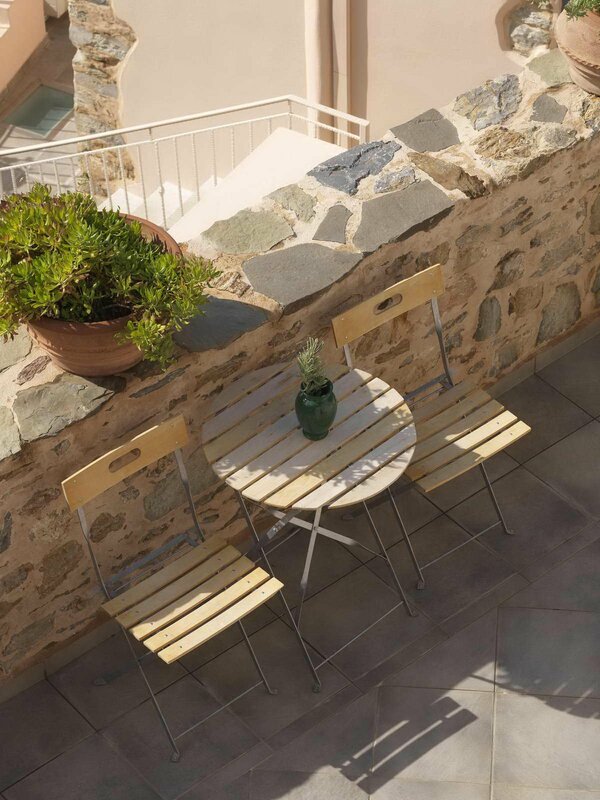 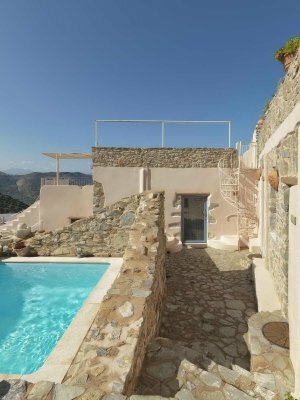 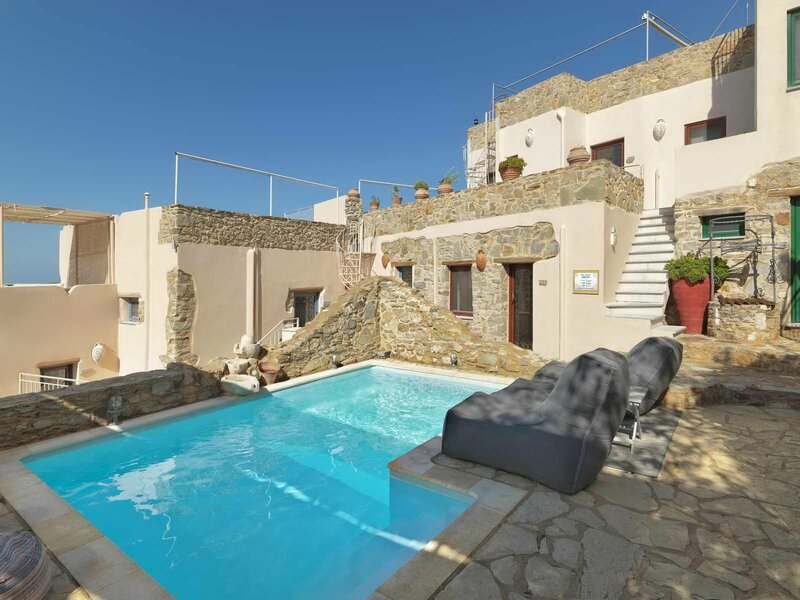 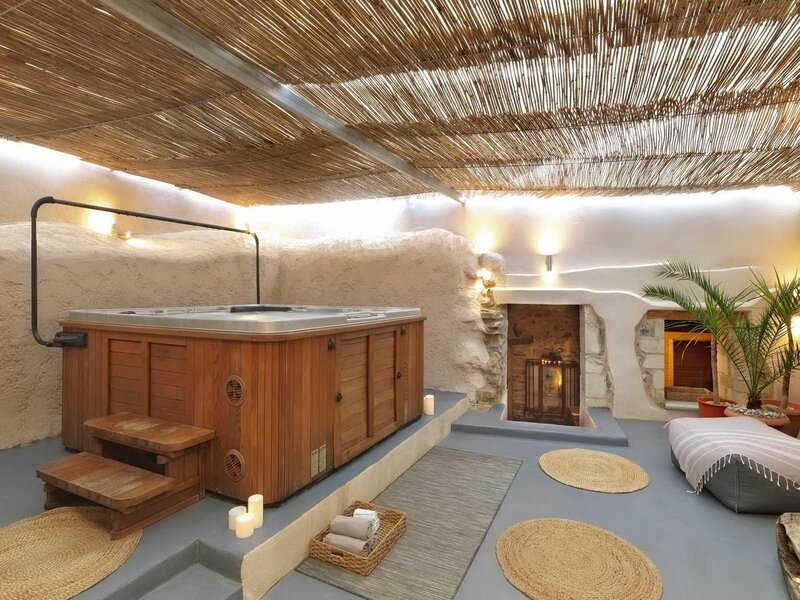 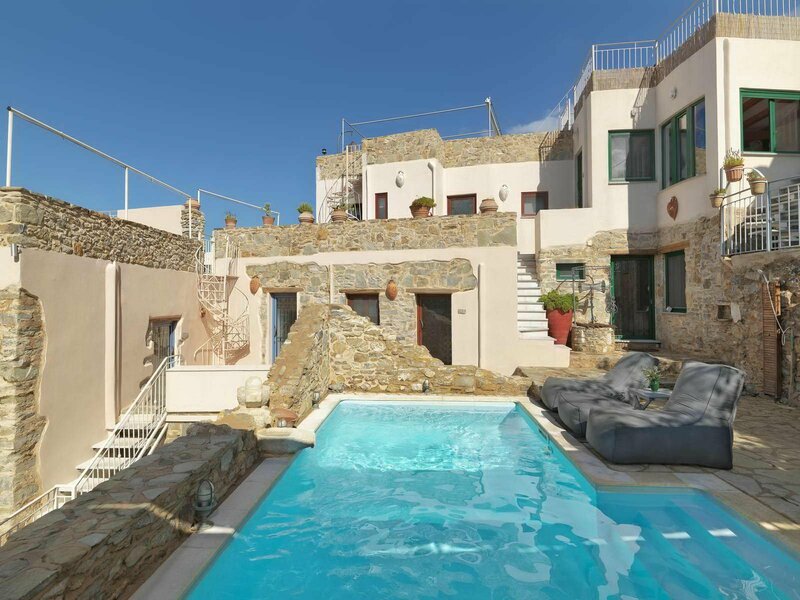 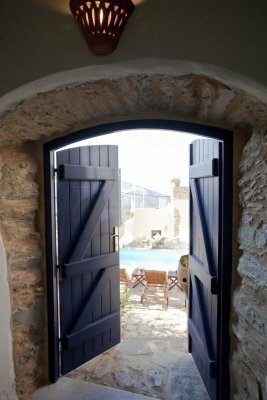 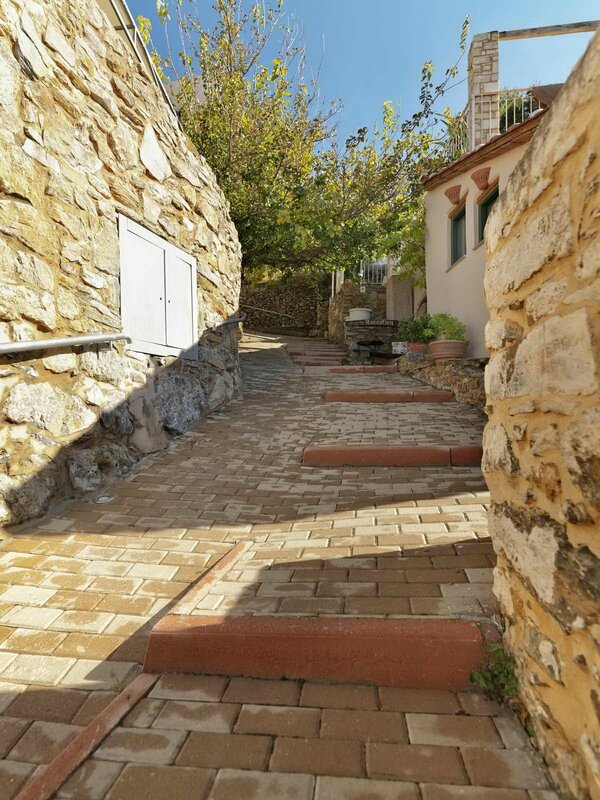 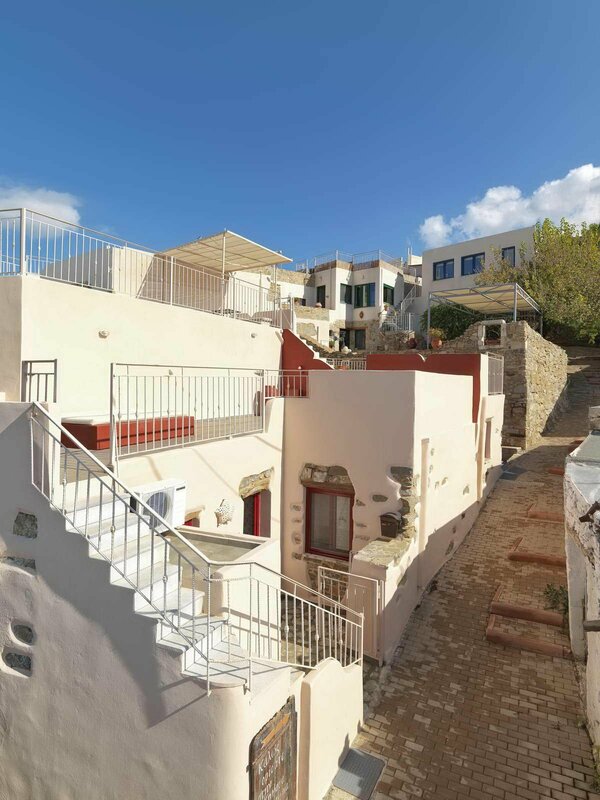 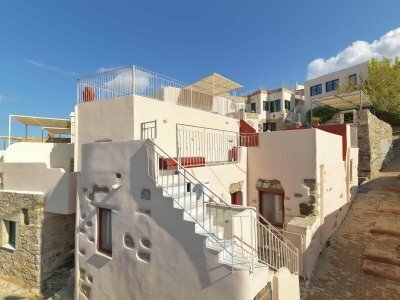 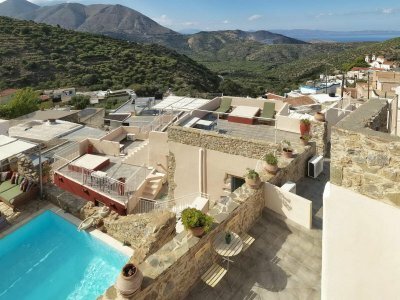 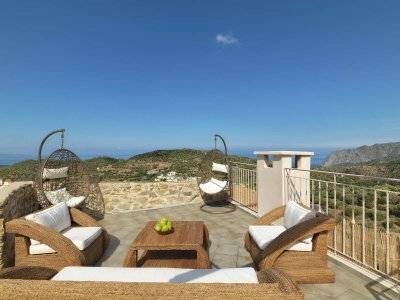 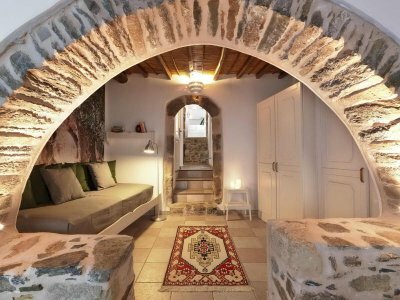 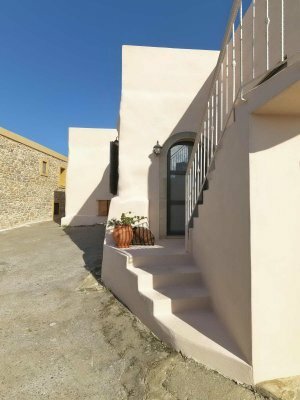 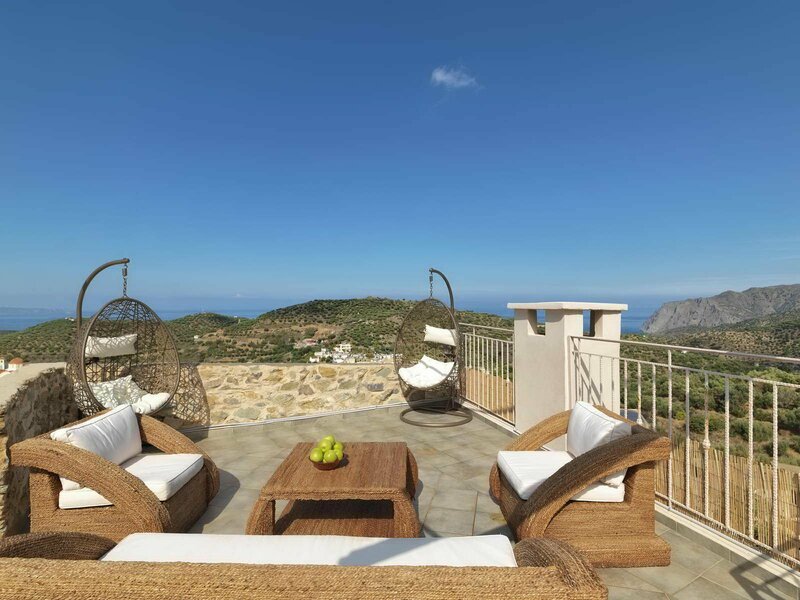 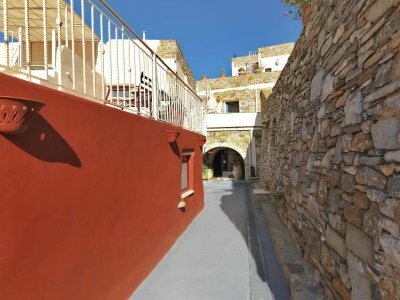 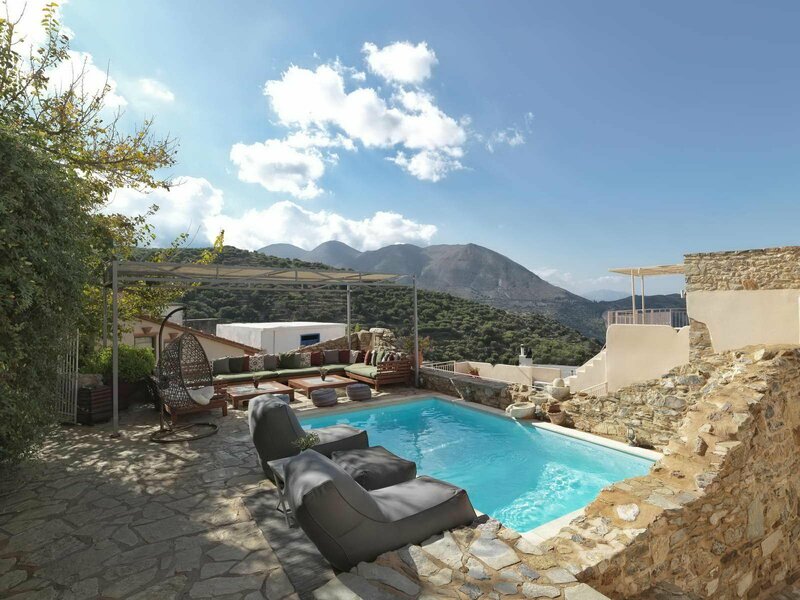 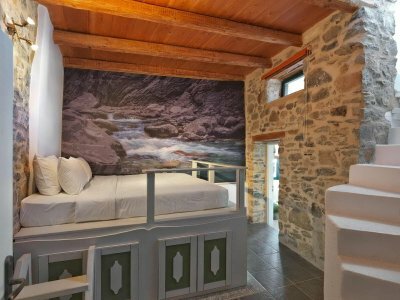 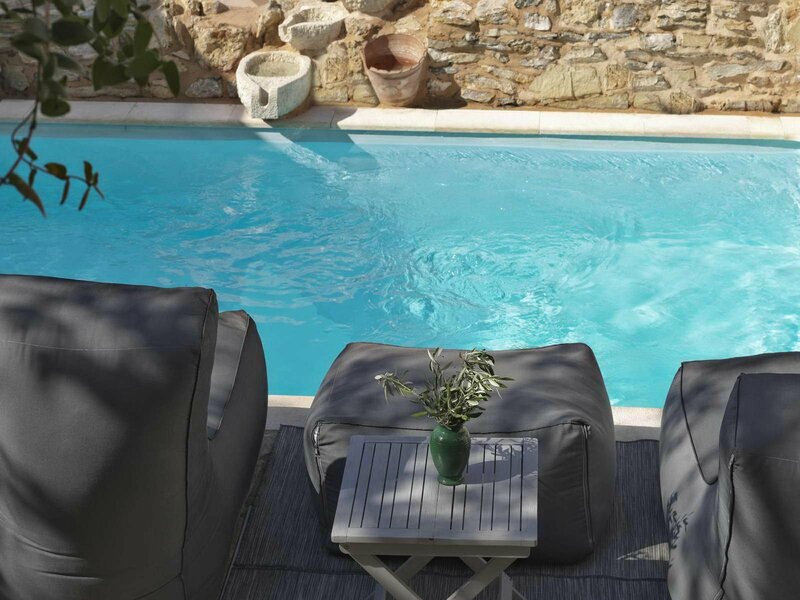 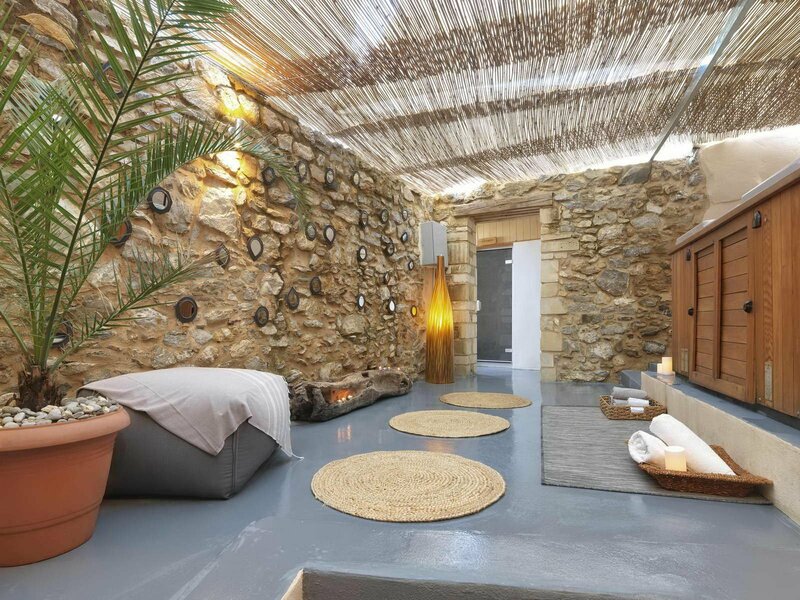 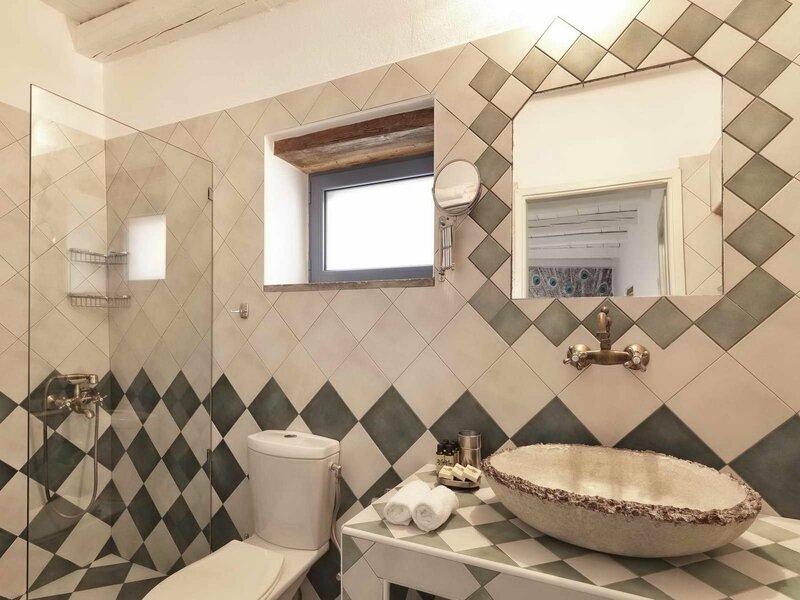 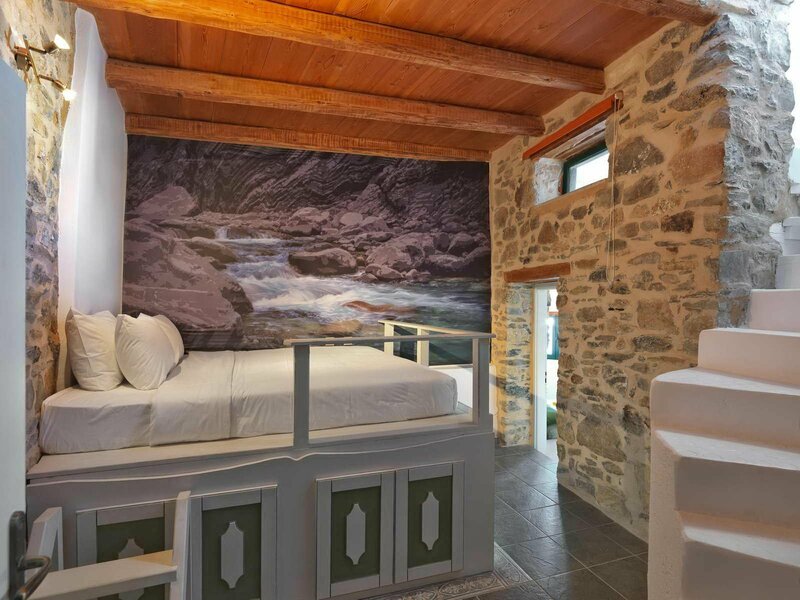 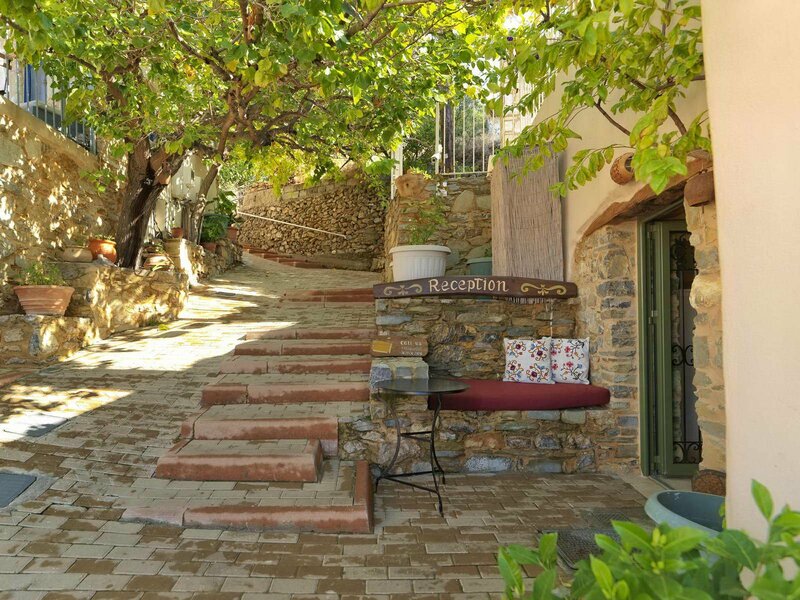 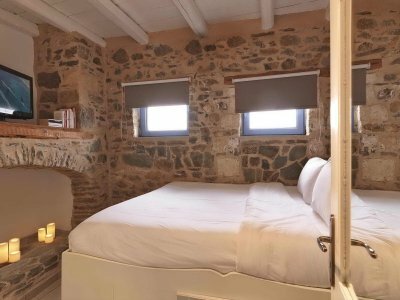 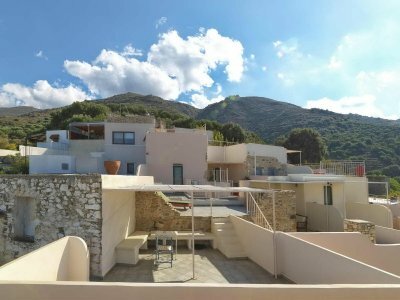 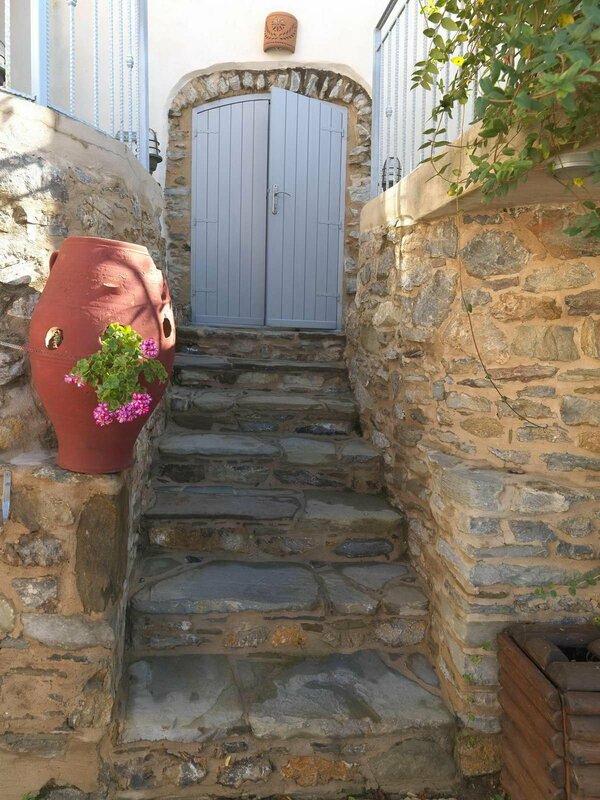 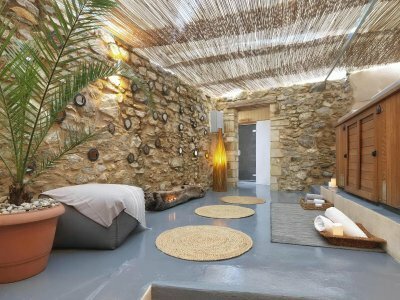 In a distance of 31 km from Sitia, experience the authentic Cretan hospitality and enjoy an unforgettable stay with a special character in Cressa Ghitonia, in the traditional village Sfaka, between the Aegean Sea and the mountains of Crete. Warm welcome and lovely hospitality combined with quality services, in a setting of exceptional beauty. 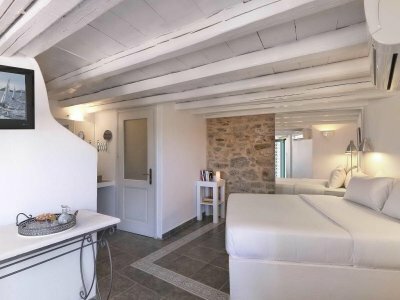 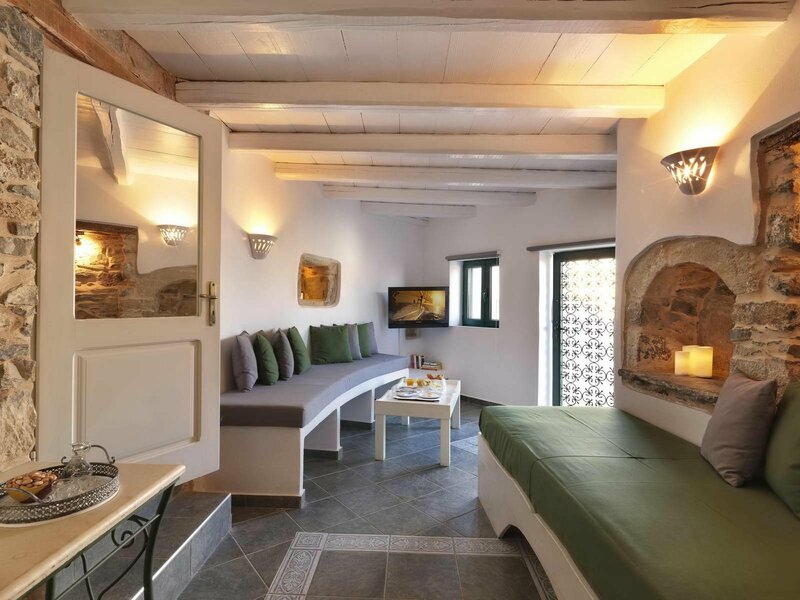 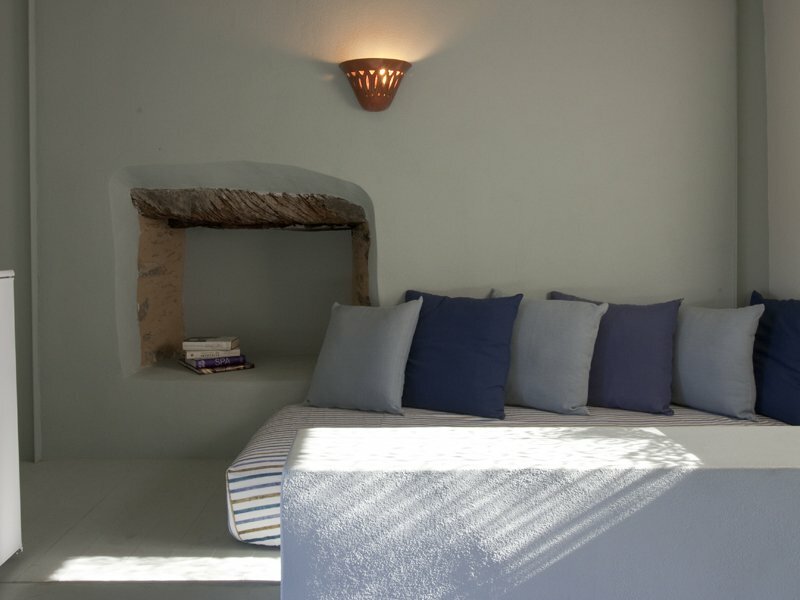 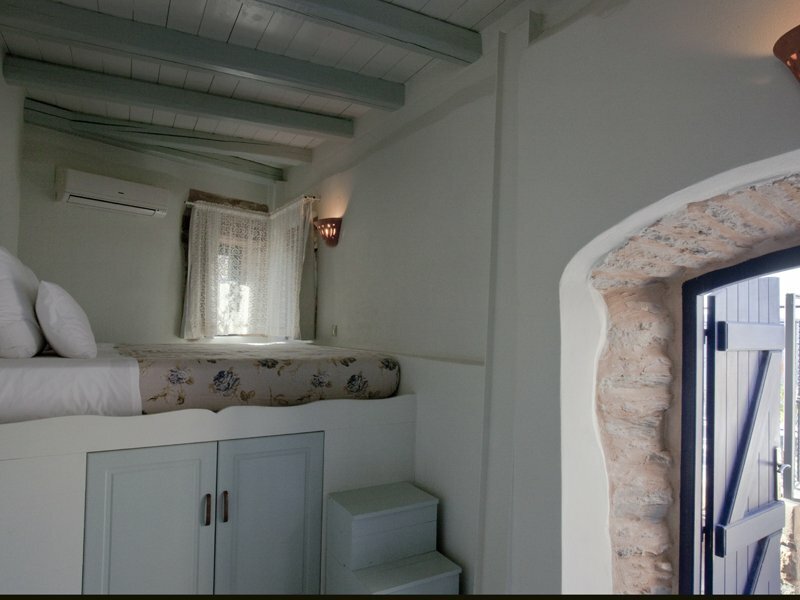 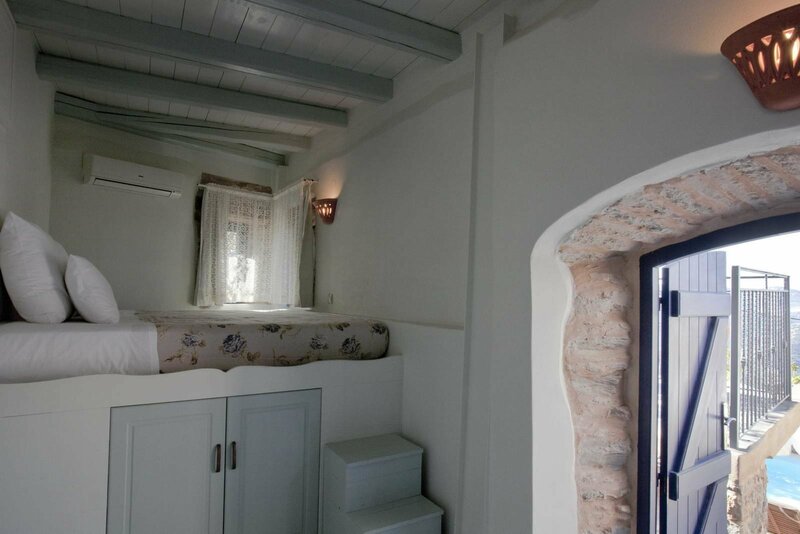 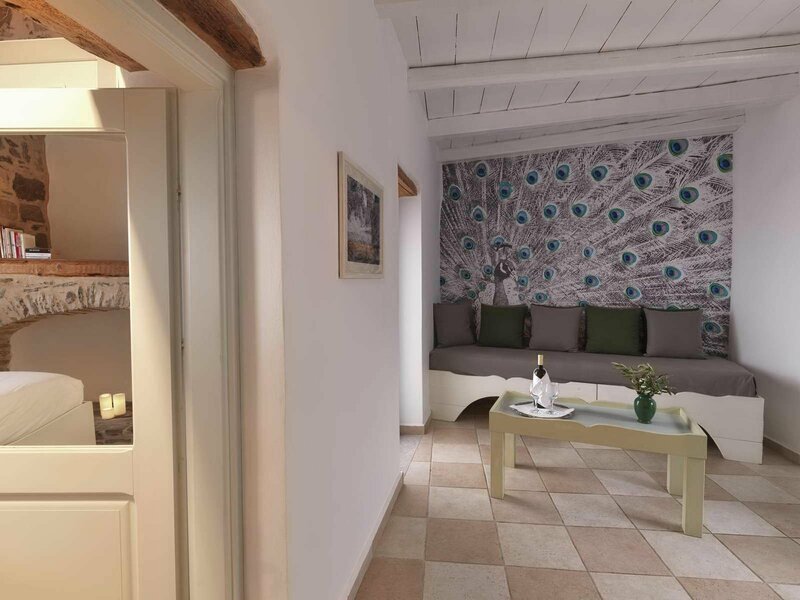 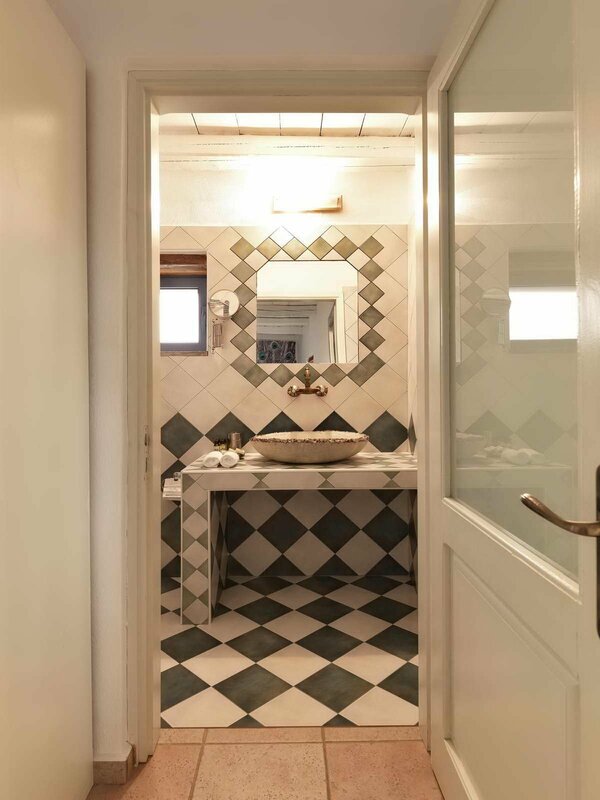 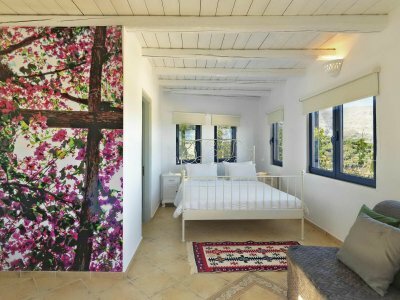 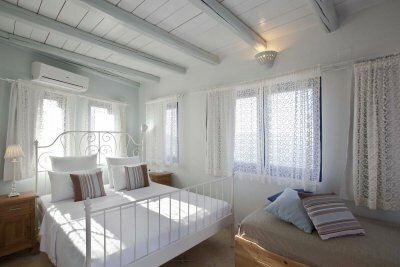 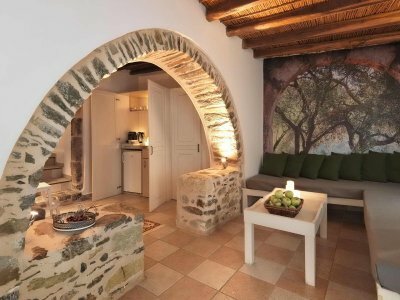 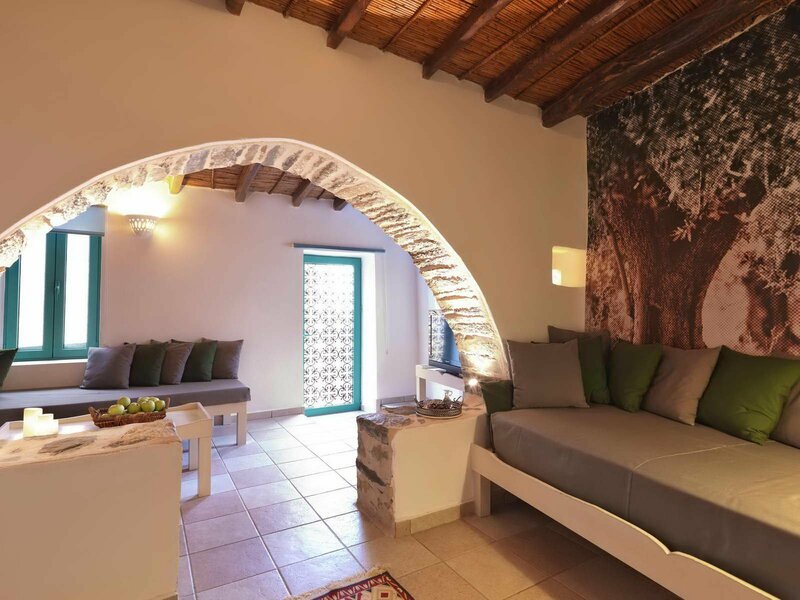 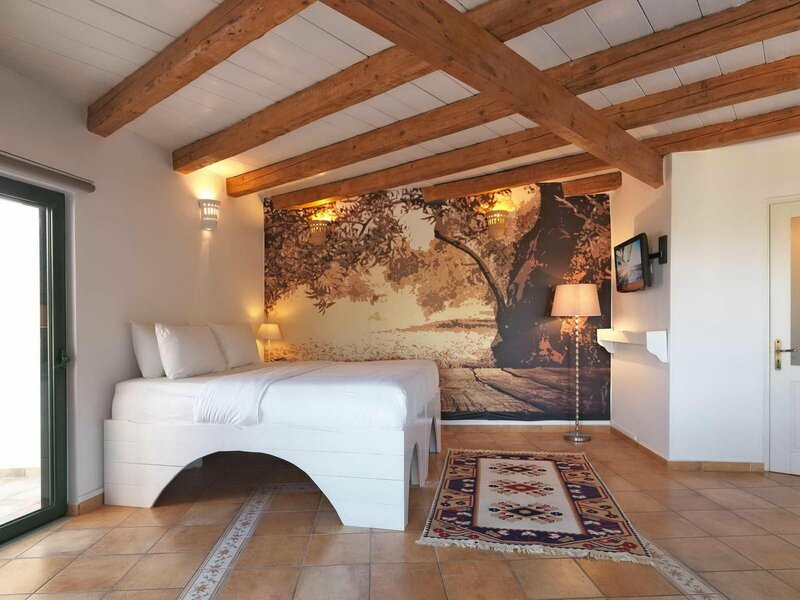 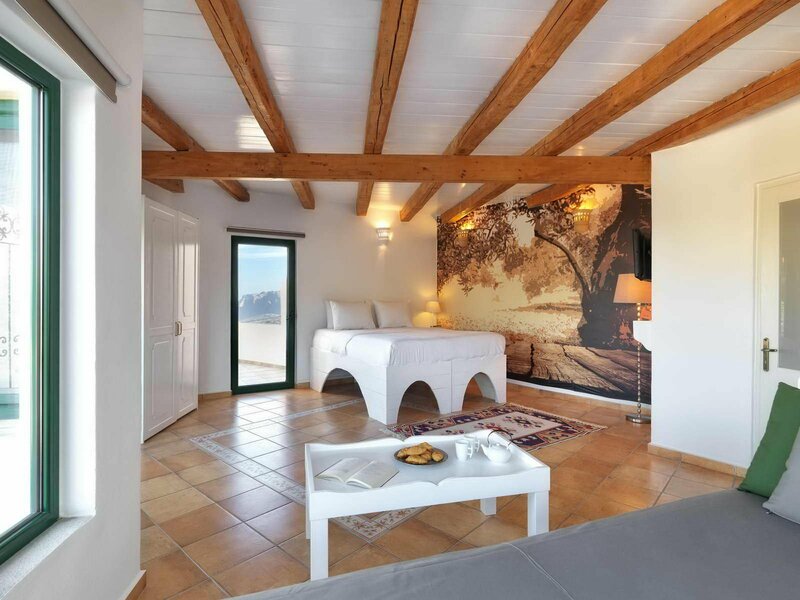 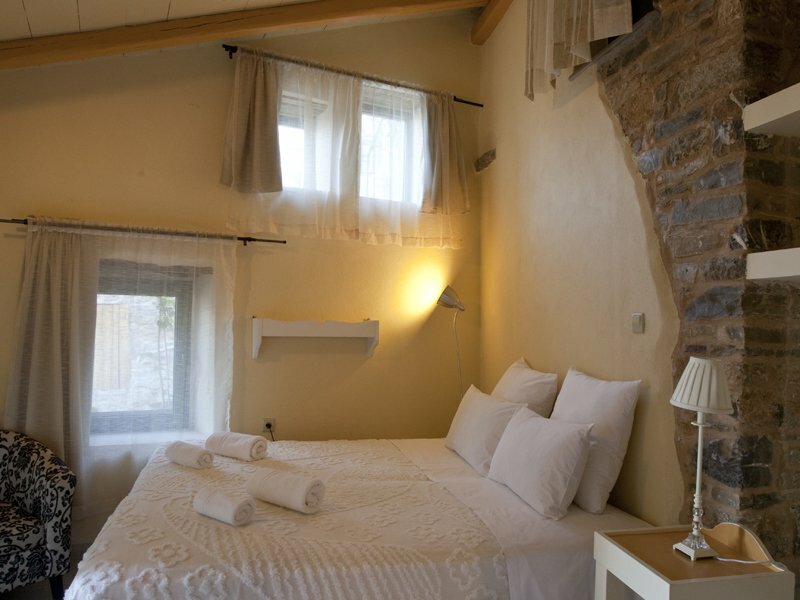 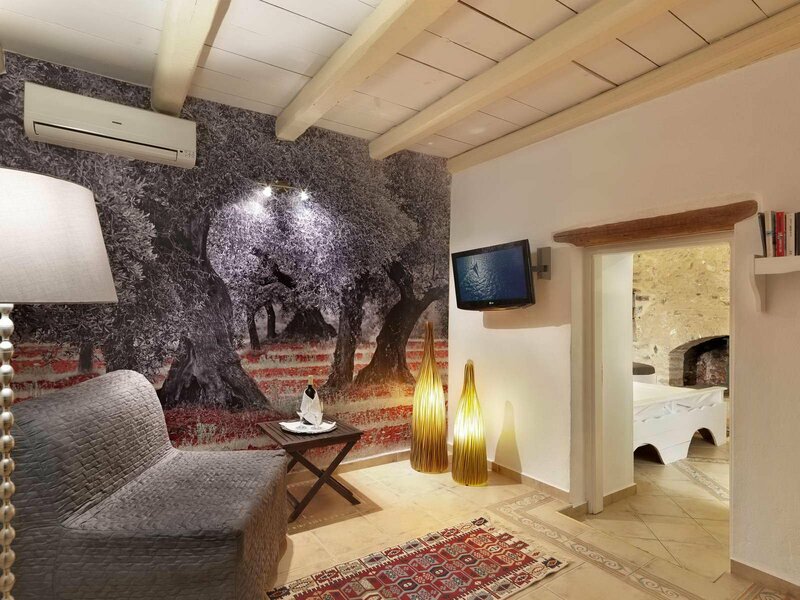 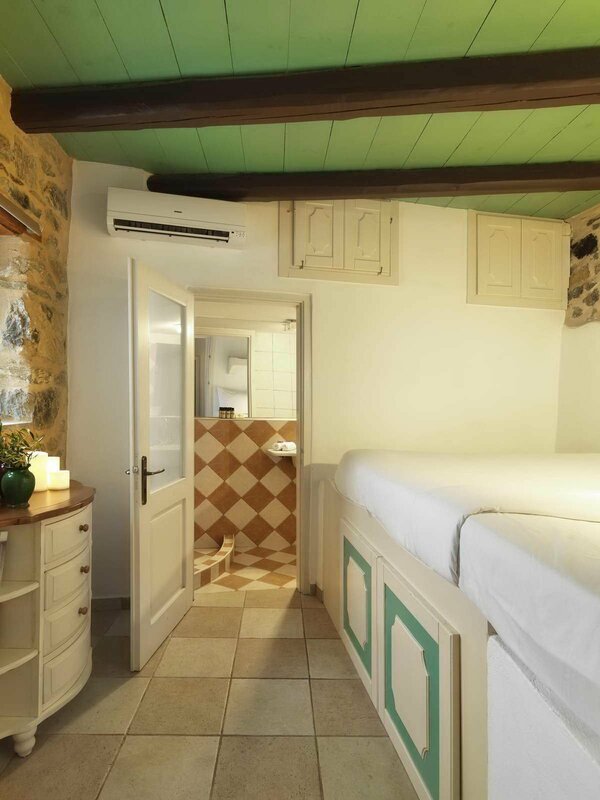 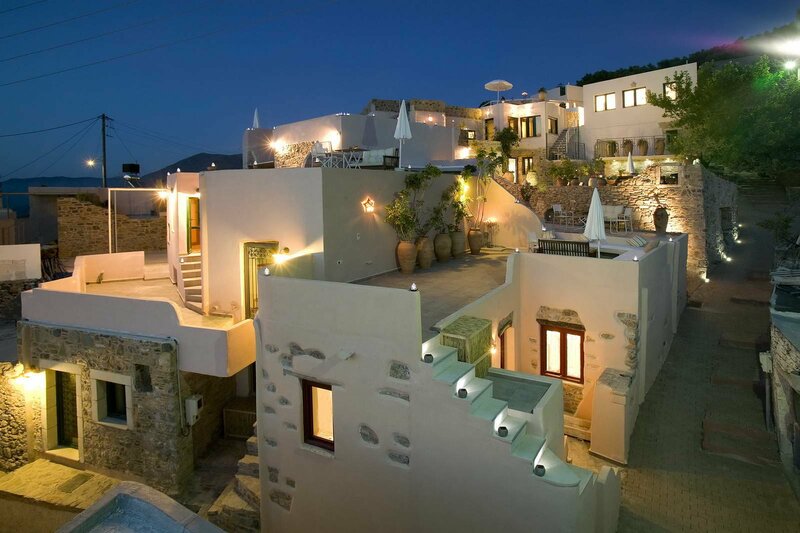 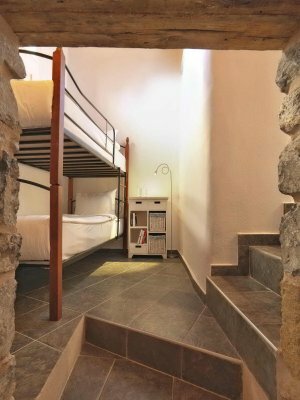 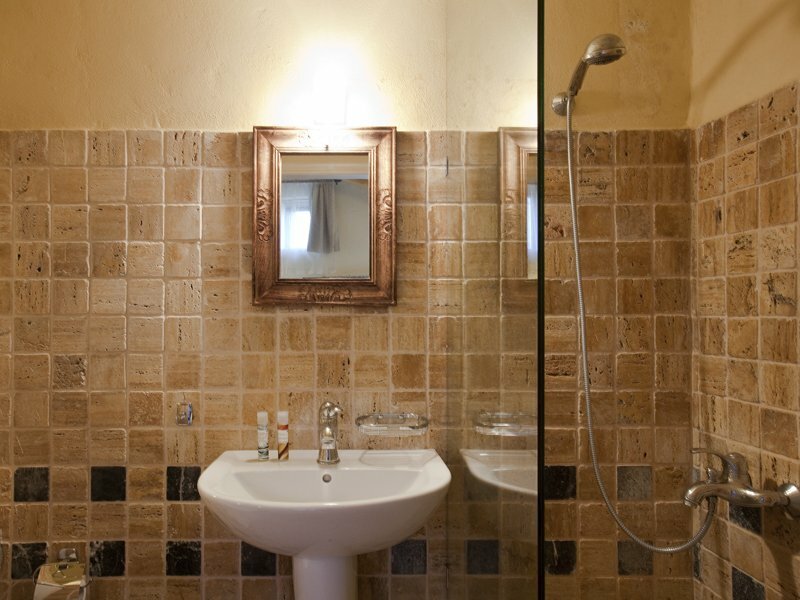 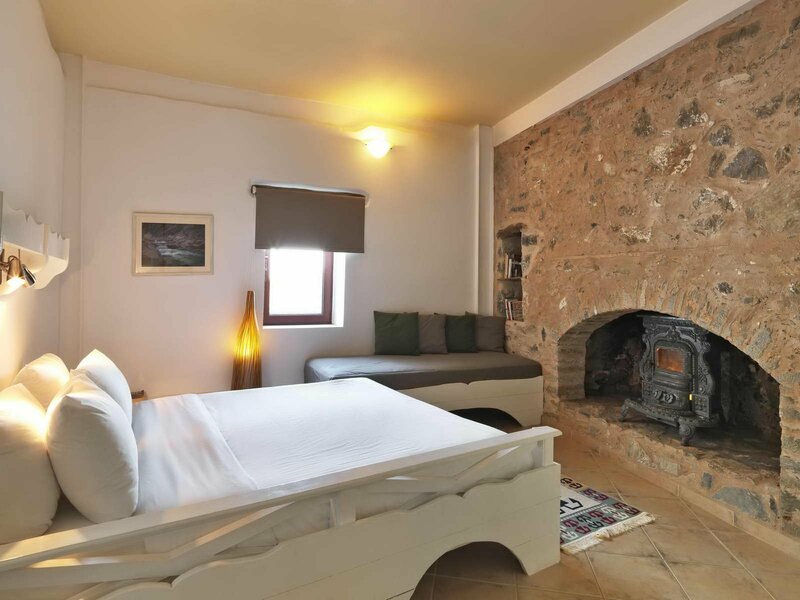 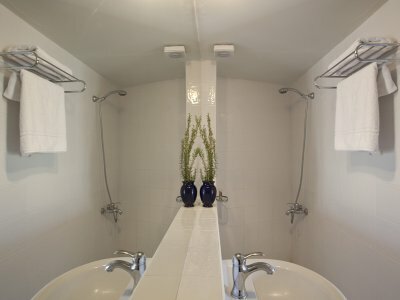 The rooms and suites are tastefully decorated in a traditional Cretan style. 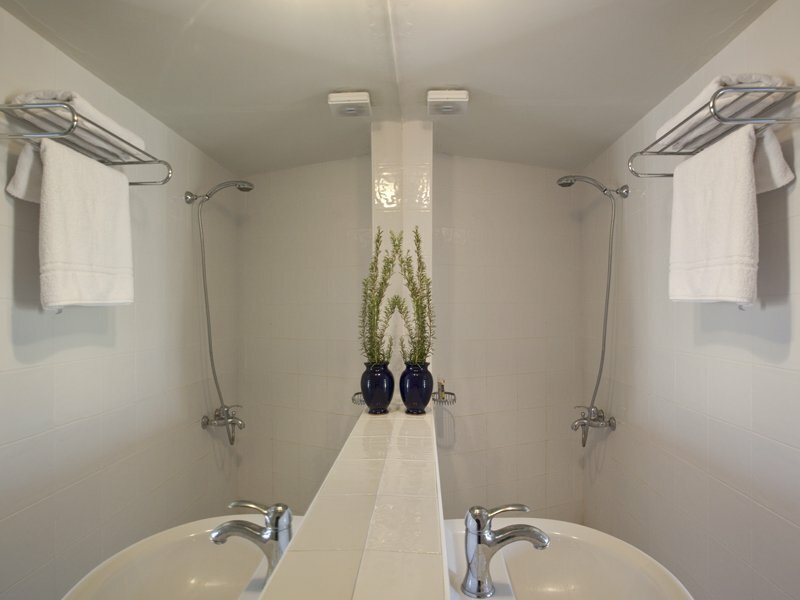 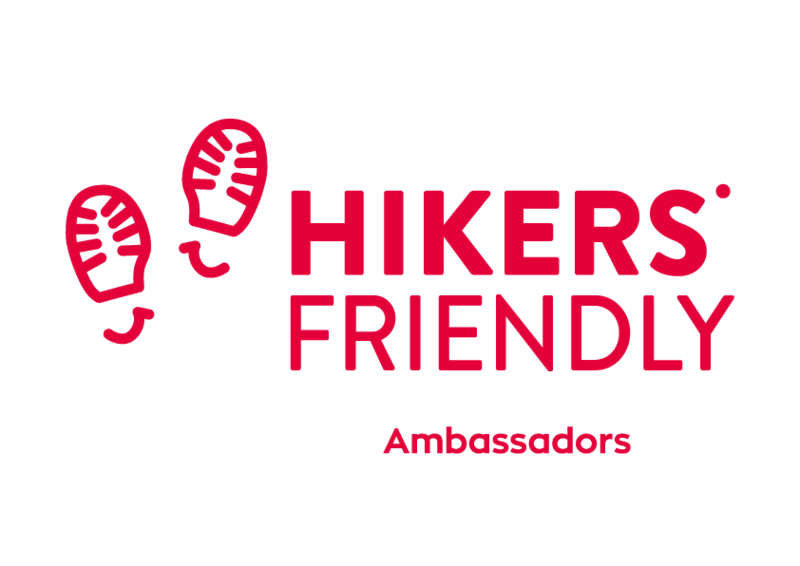 They are very comfortable and offer modern amenities and high quality services. 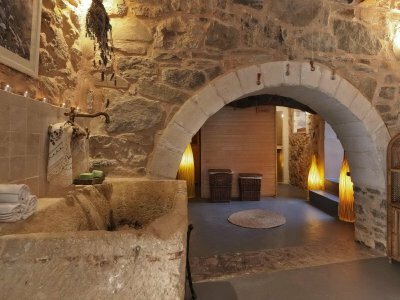 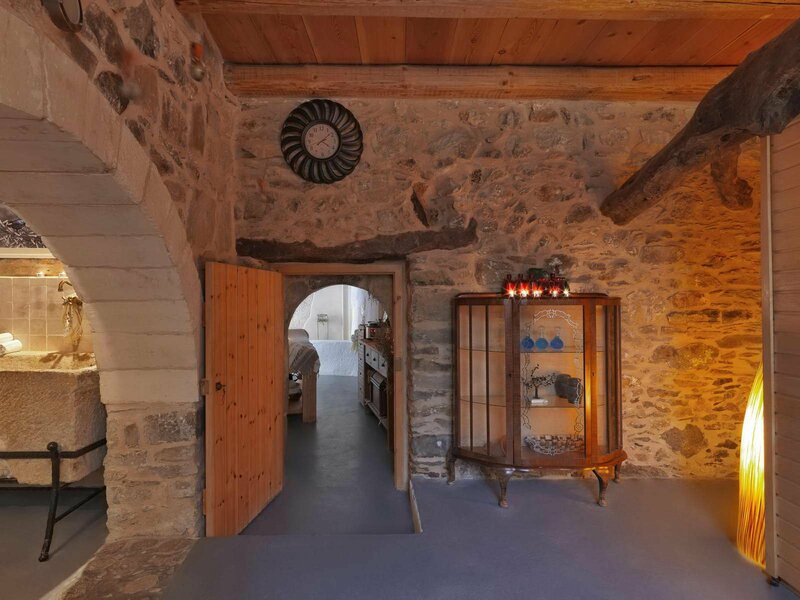 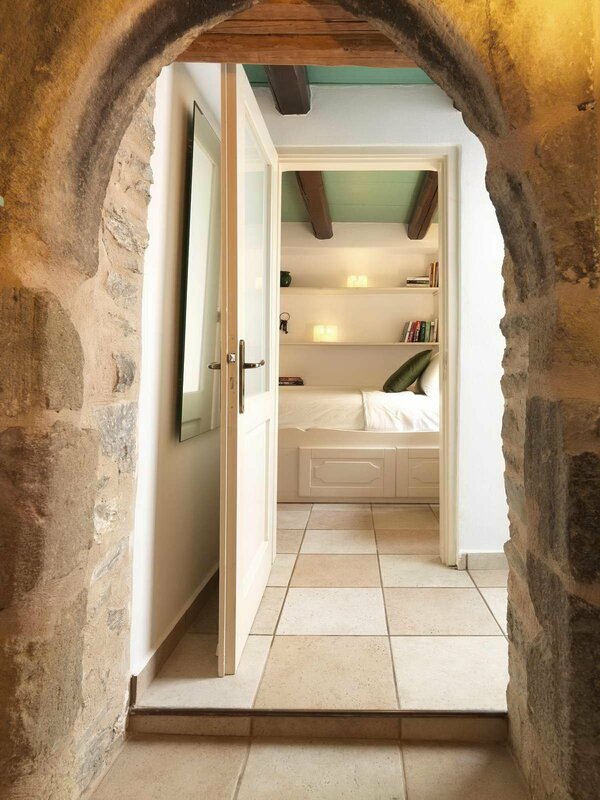 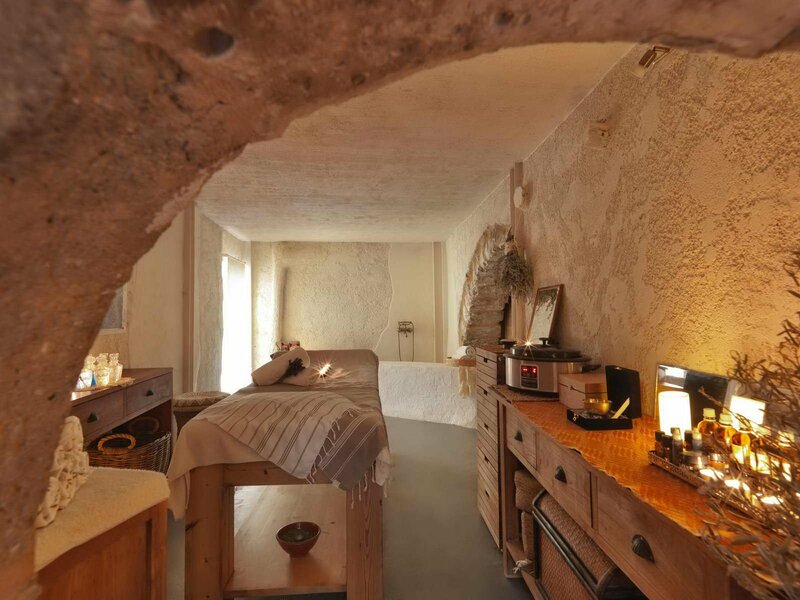 Dive into the heart of a 19th century village. 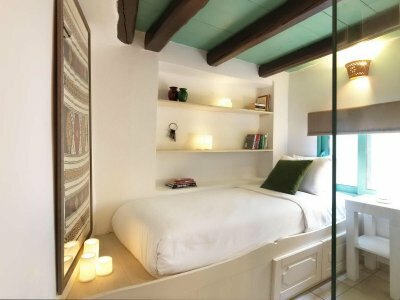 There, fifteen traditional houses are waiting for you, fully renovated with respect to the local architecture, which consist of comfortable and spacious rooms and suites with special character. 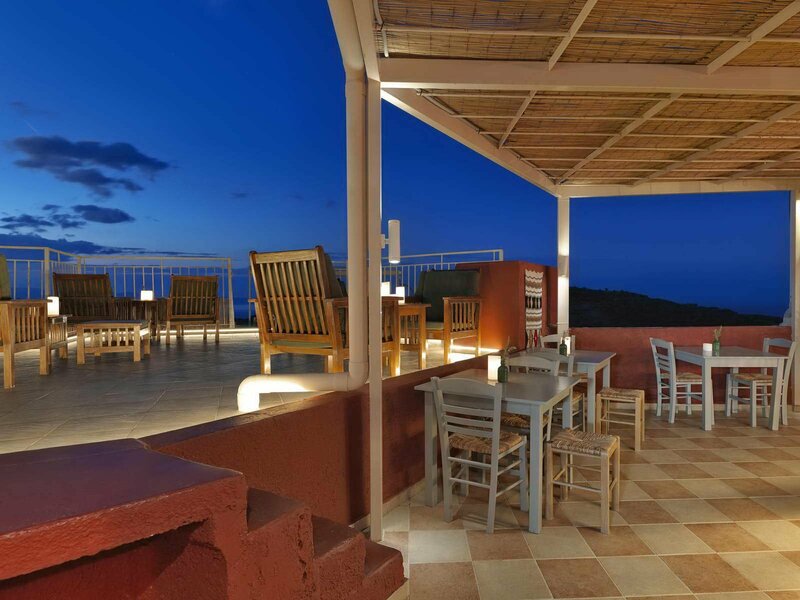 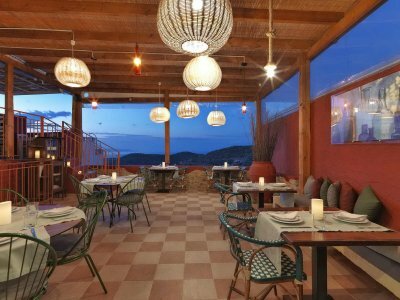 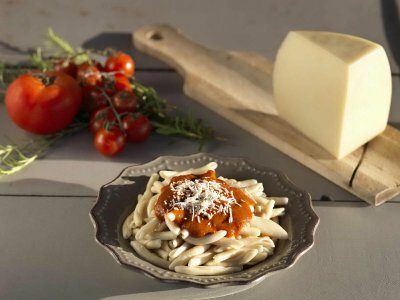 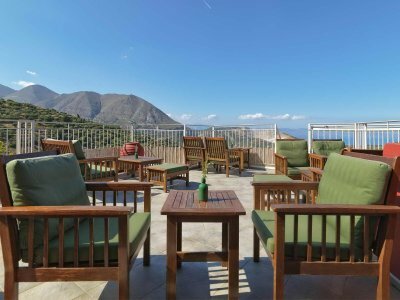 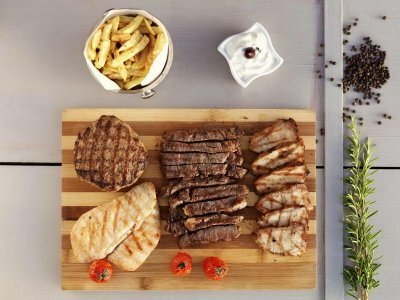 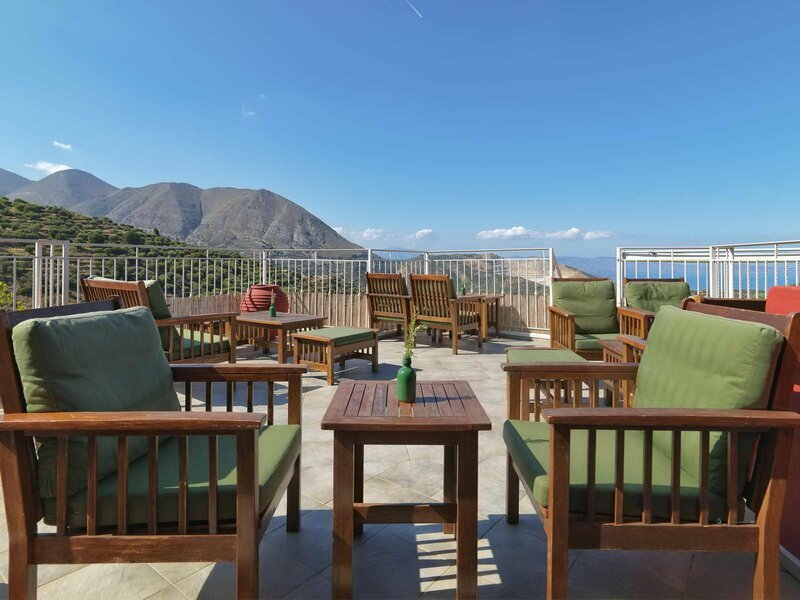 Overlooking the sea and the mountains, the restaurant offers delicious local dishes, cooked with vegetables from the garden. The coffee-bar, near the pool, offers different kinds of soft drinks, cocktails and light snacks. 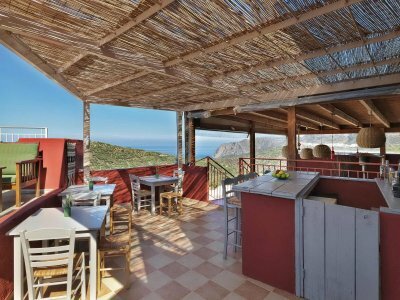 The rich homemade breakfast is served in the courtyard of the restaurant, overlooking the sea. 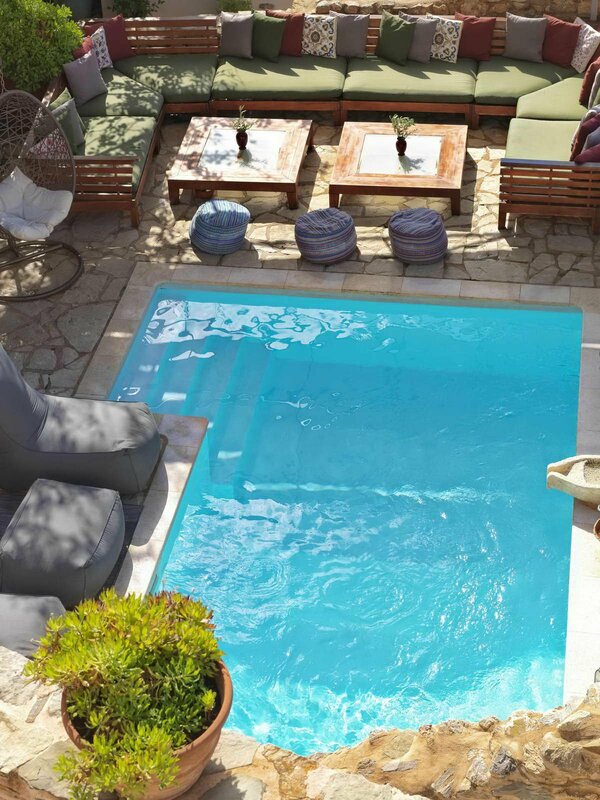 A swimming pool with sunbeds and umbrellas, and a beautiful spa are at your disposal. Accommodation with character. 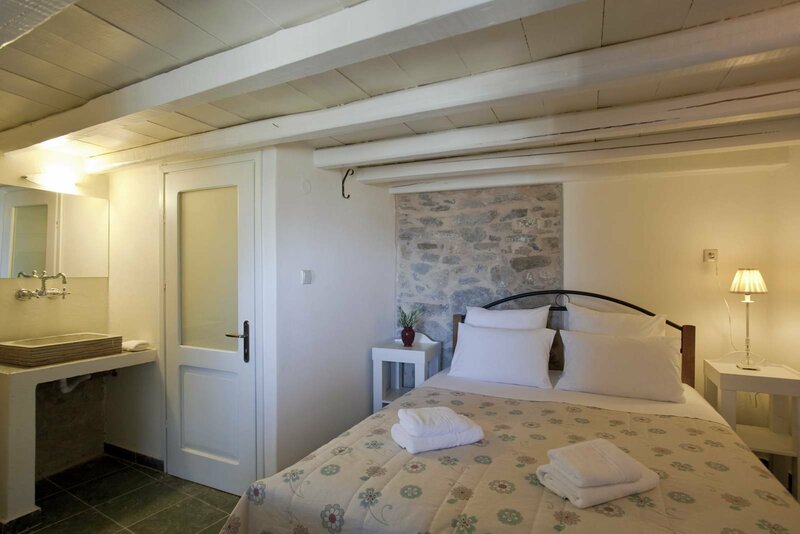 A lodging you should not miss as the tradition and comfort are in perfect harmony. 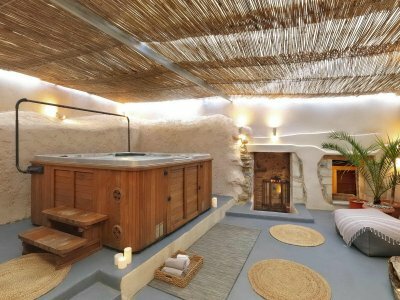 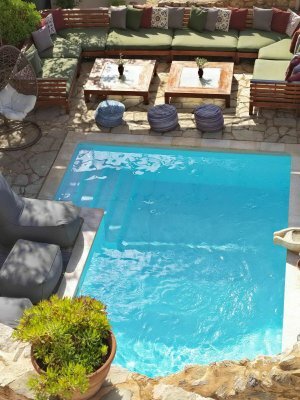 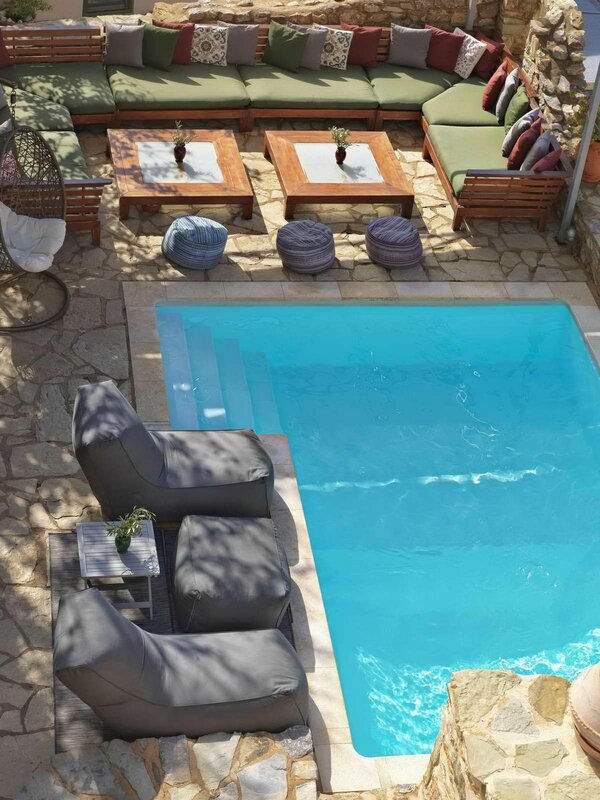 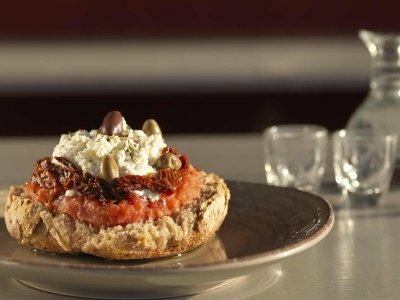 Enjoy the relaxing spa, the refreshing pool and the delicious Cretan cuisine. 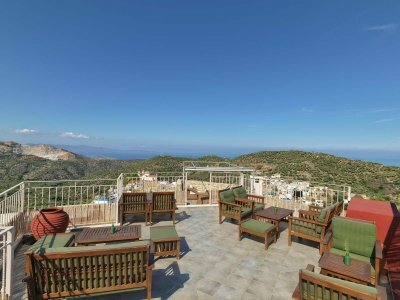 Driving from Heraklion (100 km, 1h30 approx.) Take the Heraklion-Agios Nikolaos National Road towards Agios Nikolaos and then Sitia. After Agios Nikolaos follow direction towards villages Kavousi, Lastros and finally Sfaka.